So it's less than twelve weeks until Christmas. Crazy right? 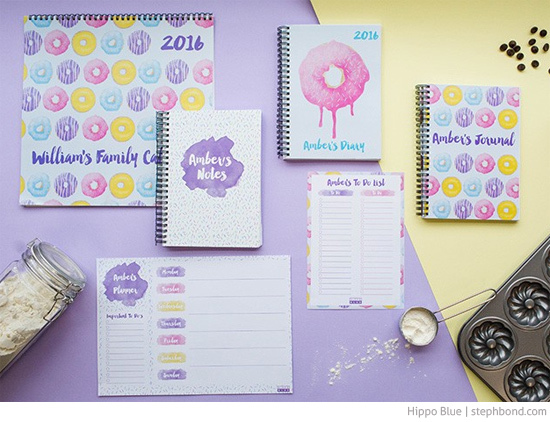 If you're looking to get a head start on the gift-giving season, it's worth checking out these great personalised stationery designs from Australian designers and Bondville sponsors Hippo Blue. 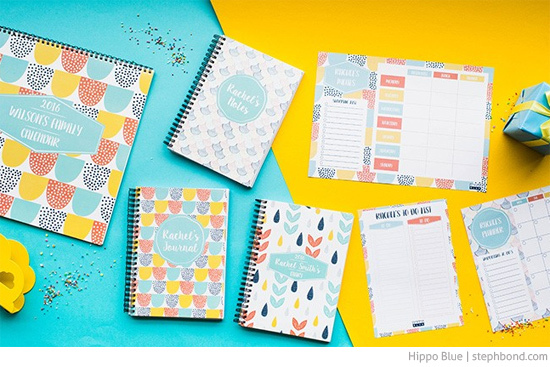 It's such a nice touch to receive a present with your name on it; and they make great gifts for grandparents, teachers, partners, sisters, brothers, or children who love to be organised (or need to be!). I'm sure we all know one of those. 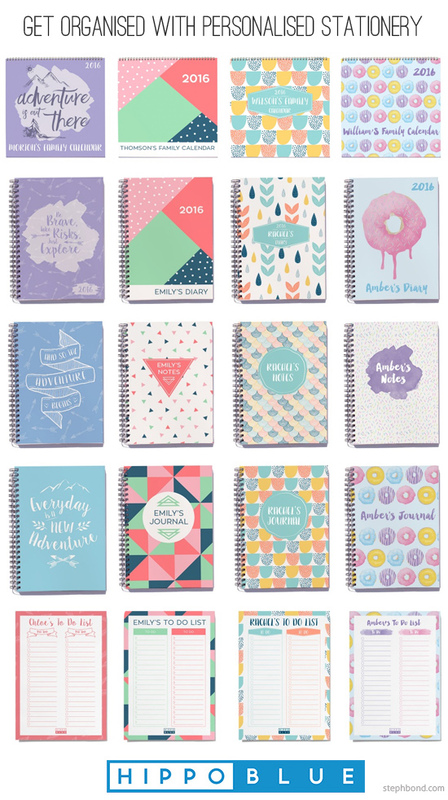 The new designs include Geometric, Whimsical, Adventure, and Donuts on a 2016 Calendar, Diary, Journal, Meal Planner, Monthly Planner, Notebook, Shopping List, To Do List and Weekly Planner in a selection of colours. All items can also be personalised with a first name, or family name. 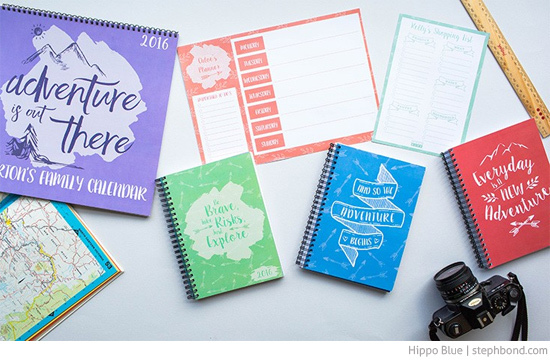 You can find Hippo Blue personalised stationery in the online store. 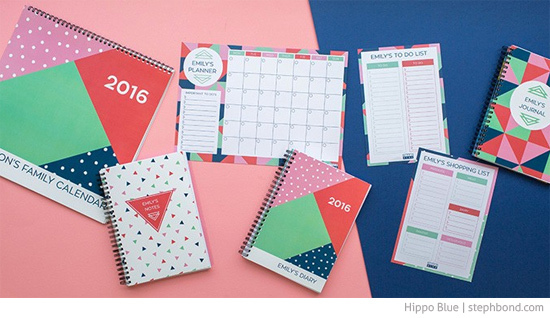 Buy any two 2016 personalised calendars and SAVE 15% on the 2nd. 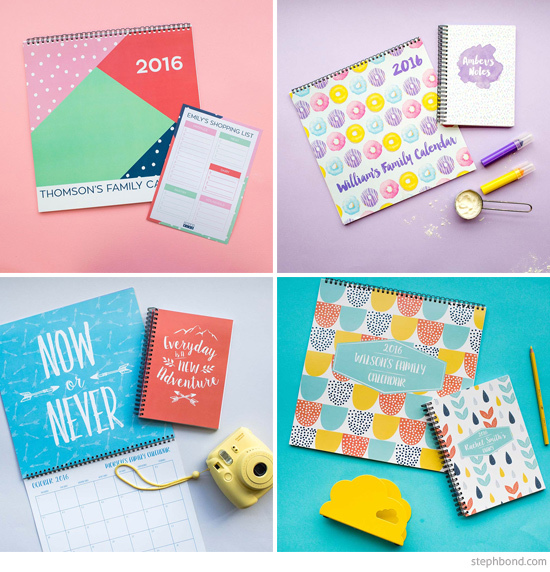 Buy three or more and SAVE 30% on the additional Calendars. (Limits apply. While stocks last.) Plus, free home delivery on orders over $70. (You may even want to pop a To Do List on your order for yourself).